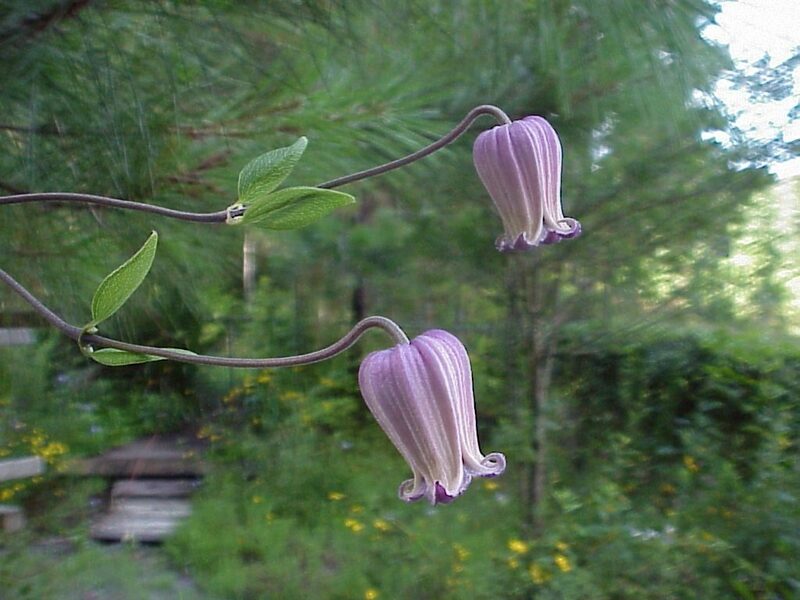 Clematis reticulata, or netleaf leather flower, is an airy, fragile, native vine in the Ranunculaceae or buttercup family. It grows in zones 6a to 9b, and is native to Alabama, Arkansas, Florida, Georgia, Kentucky, Louisiana, Mississippi, Oklahoma, South Carolina and Texas. Netleaf leather flower is natural to pineland, woodland, and sandhill habitats. 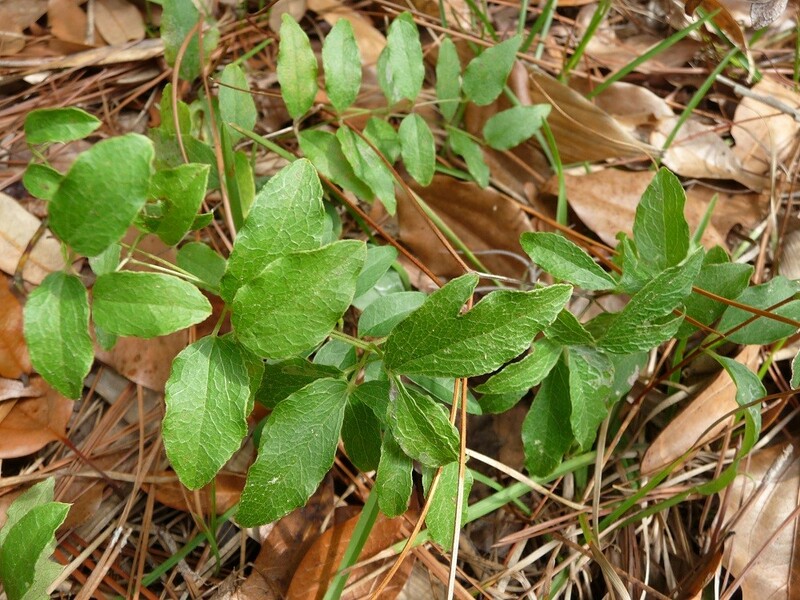 Its leaves are pinnately compound and have three to nine leaflets that are ovate to linear. The leaflets are reticulate … having a distinct network of veins. 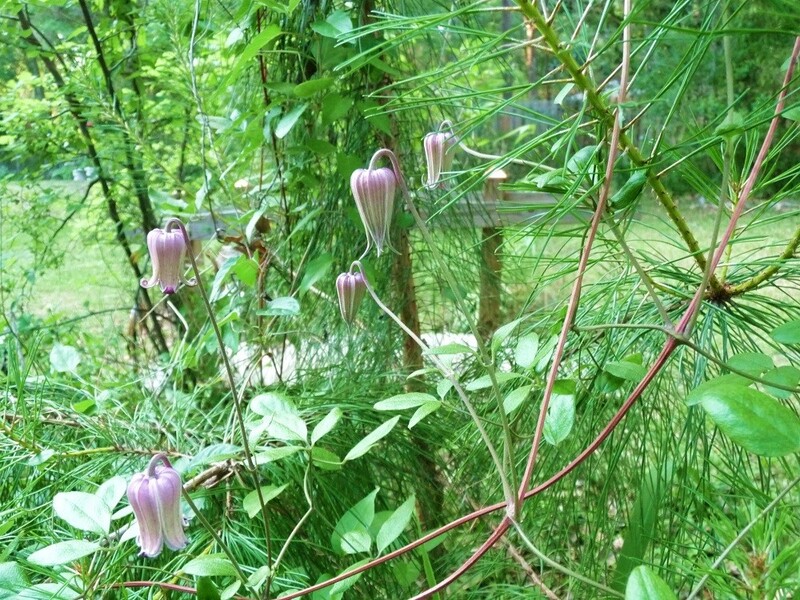 The bell-shaped flowers, (technically ‘sepals’, due to their lack of petals), are a purplish-pink, and appear in spring and summer here in central Florida. Once the flowers are gone, the seed heads make quite a showing as well. They are globular and fuzzy and are eaten by a variety of songbirds and other small mammals. It grows naturally in pinelands, woodlands, and sandhills. Clematis reticulata will flourish, in the home landscape, in just about any soil with average moisture and part shade. This is a great plant for xeriscaping because once it is established it will thrive completely on its own. It generally grows to about 12 feet in length. The branches are extremely fragile and will break easily when attempting to tie them for support. I try to avoid damage by gingerly lifting up a section of vine to a supporting branch or other, nearby support. Try to limit any strain to the stalks of this delicate beauty. I like to plant it near the base of a large shrub, or small tree, and let it climb up into the branches. Bumble bees are frequent visitors to this clematis flower. My garden is full of these large bees when the flowers are in bloom. Propagation is achieved with seeds as well as by transplanting specimens. When digging up a specimen, be sure to dig around the main stem and loosen the soil around the joint where the stem meets the root. This is very fragile and will easily break. Roots are fleshy, 3 to 4 inches long, and a foot or more into the ground which enable this vine to tolerate drought. To reduce shock during this process, cut back the stems to about a foot in length and remove most of the leaves. Keep your transplant moist unit it establishes itself, and you start to see new growth. If you do break off the stem, you still might be ok because this clematis will generally sprout from just the roots, as long as they are entirely intact. A 2-3 three month period of stratification is needed for these seeds. You can store them in the refrigerator during this time, but it’s preferable to let the stratification follow the natural frost cycle so placing them in potting soil and keeping them outdoors is best. You should place a cover over your seed starting container and keep an eye on it for moisture levels. The seeds should be kept moist, but not wet as this will promote mold growth and the seeds will rot. When spring arrives, keep a close watch for sprouting seeds and once you start seeing leaves remove the cover. The seedlings will not be ready to plant in their outdoor home until the second set of leaves develops. Seedlings need a hardening off period, which means increasing the amount of light the tender new plants receive. So putting the seedlings into growing pots is a good idea so you can move them in and out of the light over a few weeks to harden them off before planting in the ground. 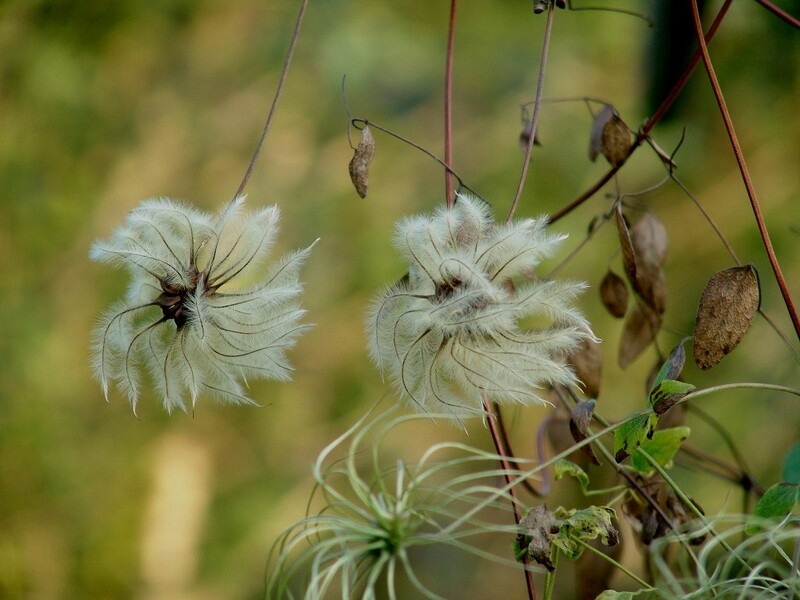 Our native clematis prefer quite a bit of sand in their growing soil so keep this in mind when you plant them outdoors. Buy netleaf leather flower seeds here!